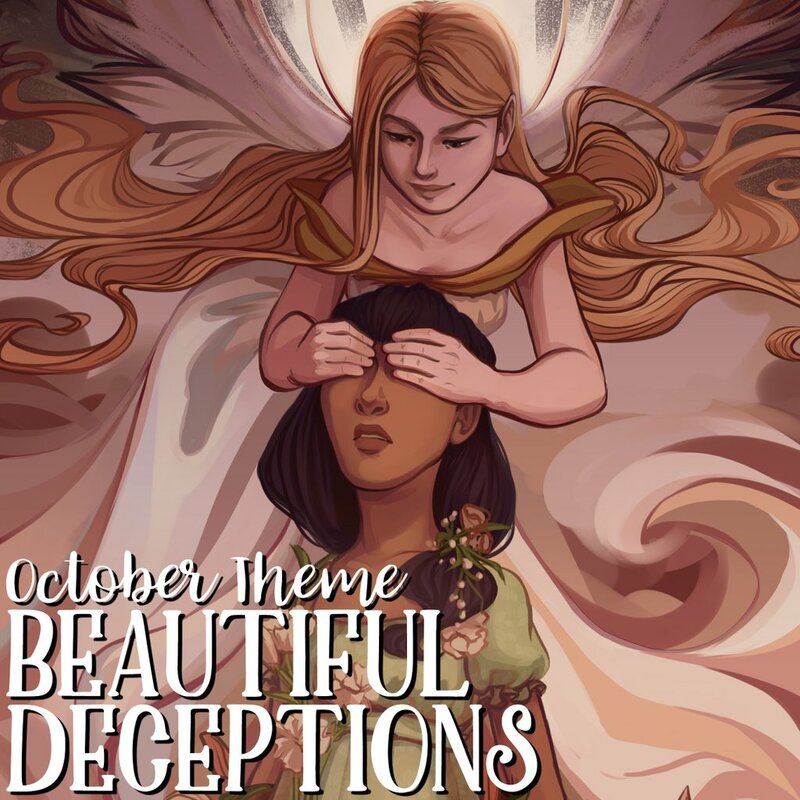 For this month, the theme was ‘Beautiful Deceptions’ and I knew the book, so that’s an improvement! Spoilers follow beyond this point. As always Taratjah’s art is beautiful. I need to hang these up somewhere. This is super heavy but so pretty! These gorgeous cards might be *almost* too pretty to play with. Cute buttons, but what do I do with them? Who knows? I don’t even know how I feel about moderately bloody socks. This is an exclusive edition with pink sprayed pages! There is also a Fairy Loot bookmark with this month’s art on the back, and the Fairyscoop Newsletter, which has an interview with the author, in it as well as the spoiler for next month’s box. If you subscribe to Fairy Loot, are we reading buddies? Let me know! December’s box ‘Dragons’ is now up for sale so be sure to go to Fairy Loot’s site to grab it before it sells out! This month we thought we’d keep it simple and let’s face it: totally awesome! We could not be more excited about this theme! This box is perfect for people that love dragons and anything related to dragons. It will feature items inspired by Harry Potter, Game of Thrones and dragons in general. We are so thrilled to reveal that this box will have an exclusive READING JOURNAL (the same as our last reading journal, but this time dragon-themed), an exclusive BOOK SLEEVE, an ADVANCED READING COPY of a highly anticipated fantasy book that is due to release in July 2019 and a bunch of other goodies. This is also the first month that we will be including our exclusive trading cards drawn in a tarot style, which will be inspired by A Court of Thorns and Roses. Which characters will be in this box? You’ll have to wait and see. The book we are featuring is a fantastic December release that is filled with shape-shifting wyverns, heists, magic and more! The edition we are including will be SIGNED BY THE AUTHOR and will also come with a letter from from author. What book do you think will be in December’s Fairy Loot box? Have you ever ordered from Fairy Loot before? It is such a great unboxing experience despite the cost. What was your favourite item in the box? I adored everything but the playing cards would have to be my favourite. Let me know what you thought in the comments below!